Somdor is a family steel fabrication business founded in 1975 by Mike Ford and now run by his son the current managing director Nick Ford. 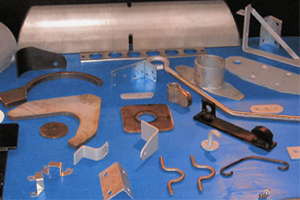 We have provided a sub-contracting service to a broad range of customers in a wide range of industries (typically in the South and South West of England) for almost 40 years, The company has invested in a wide range of machinery, vehicles and facilities that enables it to provide a comprehensive service to any business wishing to have metal parts or products manufactured to its own design. In layman's terms the business operates an "if you can draw it, we can make it out of metal" service. 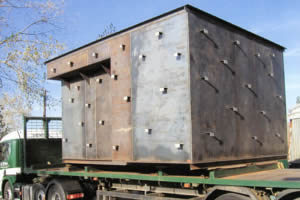 The company can handle a huge variety of jobs from the repetitive fabrication of small components (from prototype through to full production) to the vary large, the specialist and industrial, including fabrication of CE 1090 components for the construction industry. 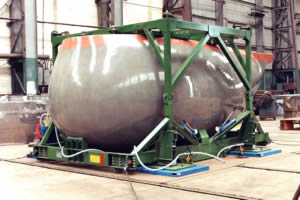 The company's own vehicles can be used to transport and deliver the more awkward or cumbersome items it manufactures. 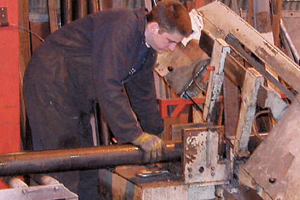 Somdor employs around a half dozen skilled fabricators. The business has managed to retain experienced and skilled staff to the extent that today all members of the team have been with the company for more than 5 years. This means that you can rely on Somdor's experienced and highly skilled team.